Today, the Enough Project filed a petition before the African Commission on Human and Peoples’ Rights, known as the African Human Rights Commission, against Sudan. 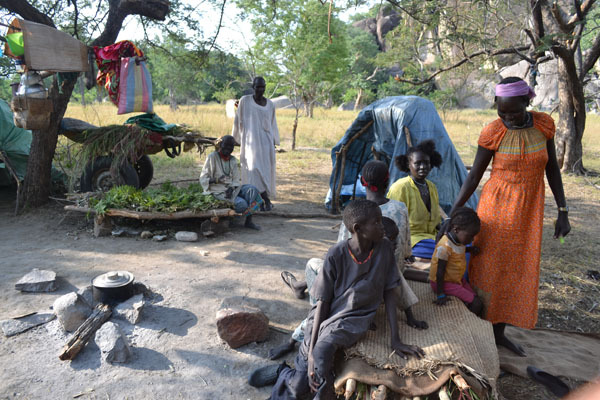 The petition alleges that the government of Sudan’s indiscriminate aerial bombardment of civilian populations in the states of South Kordofan and Blue Nile, its ground attacks against these populations, and its denial of international humanitarian aid to the two states violate, among other things, the rights to life and property afforded all Sudanese citizens under the African Charter on Human and Peoples’ Rights, or the African Charter. The facts alleged in the petition come within the context of ongoing conflict between the Sudan Armed Forces, or SAF, and government-backed militia, on the one hand, and the Sudan People’s Liberation Movement-North, or SPLM-N, on the other, which has engulfed South Kordofan since June 2011 and Blue Nile since September 2011. During this period, not only have the SAF and government-backed militia engaged in battle with the SPLM-N, but they have, as well, purposefully targeted civilian populations through aerial and ground attacks and extra-judicial killings. More than 366,000 people have been severely affected or internally displaced by the violence since June, while another 140,000 have fled to either Ethiopia or South Sudan. Khartoum’s attacks have occurred during harvest and planting seasons, preventing civilians from tending their crops and severely undermining available sources of food in the two states. Compounding these increasingly dire conditions is Khartoum’s steadfast refusal to permit international humanitarian aid to reach populations in SPLM-N controlled areas, leaving populations in southern Blue Nile and South Kordofan at emergency levels of food insecurity—one level short of famine. Enough has transmitted copies of its petition to 11 U.N. Special Rapporteurs, the Independent Expert on the Situation of Human Rights in Sudan, and the U.N. Working Group on People of African Descent requesting that these officials take appropriate actions within their respective competencies, including forming a working group to collectively assess the situation in South Kordofan and Blue Nile. Yesterday, we remembered the Holocaust and declared, as we have done for nearly 75 years, “never again.” In dong so, we must take a critical look at what we have done for the people of Sudan in realizing this declaration. The world has stood by far too long and watched Sudanese officials, such as President Bashir, Defense Minister Hussein, and South Kordofan Governor Haroun, commit heinous crimes against the people of Sudan. While the ICC has issued arrest warrants against these three officials for their roles in crimes committed in Darfur, they continue to commit the same crimes today in South Kordofan and Blue Nile with impunity. Enough’s submission of a petition to the African Human Rights Commission is one step towards holding these and other Sudanese government and military officials accountable for their crimes. The international community must, as well, increase efforts to hold Sudanese officials accountable for their violations of international human rights and humanitarian law in Darfur, South Kordofan, Blue Nile, and Abyei.